Date Night at City Putt on February 13 was so much for for everyone who attended! 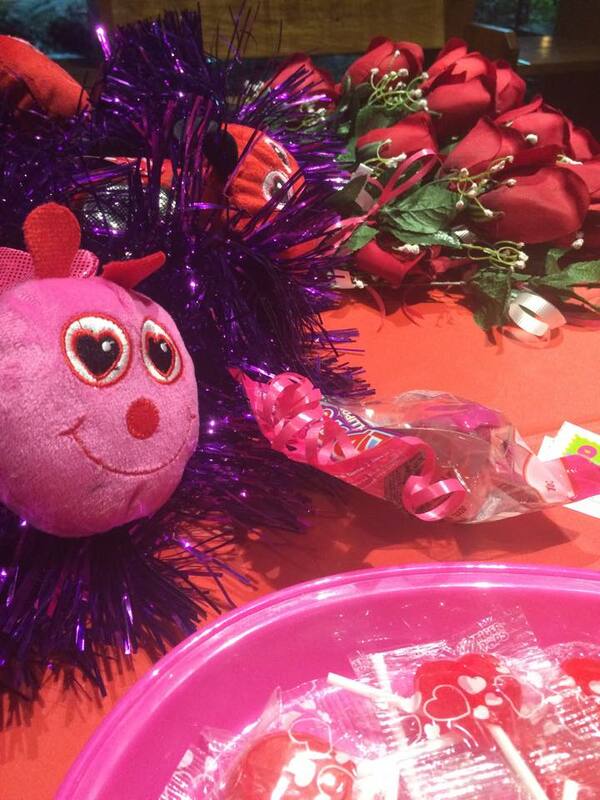 There were treats and roses and trinkets for everyone who came to Date Night. Plus we took cute photos of you and your date. See some of those photos by clicking on the link on this page. Weren't able to make the event? Don't worry! We're going to host another Date Night at City Putt again soon. Looking for more date night possibilities at City Park? Here are some great ideas! New Orleans City Park is a romantic place no matter what season it is in New Orleans. The Park is a wonderful place to create memories! Celebration in the Oaks and a round of Mini Golf! OR A round of Mini Golf and hot beignets from Morning Call. OR Swing on a double sided swing at the Goldring Woldenberg Great Lawn while drinking Cafe au Lait. And these options are all within walking distance of each other! There's also: walking hand-in-hand through shade from ancient oaks, the New Orleans Botanical Garden, gondola rides through Park lagoons, walks in the the five-acre Sydney and Walda Besthoff Sculpture Garden, plus so much more! New Orleans Gondola: City Park's so romantic there have been over 315 proposals on the gondola alone and more people get married in City Park than anywhere else in New Orleans). PLUS! 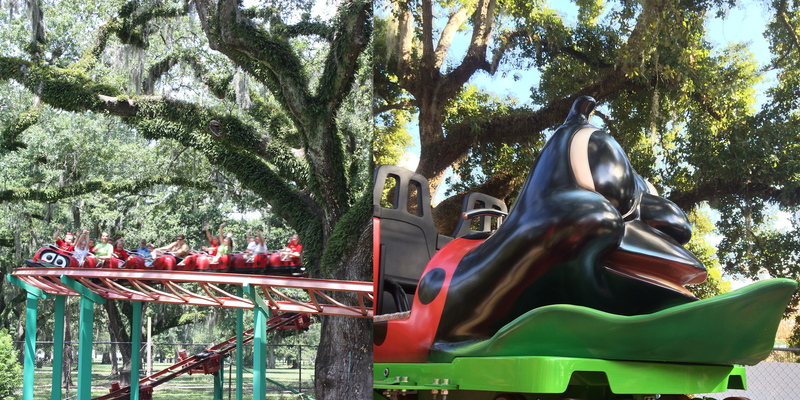 The much awaited Ladybug Roller Coaster is back in City Park. The coaster was fabricated in Deggendorf, Germany. To ride the Ladybug Roller Coaster, there is a minimum height of 52" or 40" with a paid adult. The new roller coaster is larger and faster with a larger footprint than its predecessor. The Ladybug has 10 cars and each car has 2 seats. The old Ladybug Roller Coaster was closed due to structural corrosion caused by Hurricane Katrina and was dismantled in August of 2013. Contact the Park at (504) 483-9458 to book a Ladybug Roller Coaster themed corporate event or birthday party. Parker’s Pizza opens in the Amusement Park selling pizza to everyone! The City Park mascot, Parker, prides himself on making the pizzas. (Don’t worry, Parker’s supervised by trained professionals.) Parker’s Pizza will impress your taste buds with traditional Italian ingredients. You’ll love the garlic buttered crust and zesty signature pizza sauce while craving the freshest mozzarella we use on each pizza. Parker’s Pizza offers pizza by the slice, a 16” large pizza, and an assortment of desserts. Parker’s Pizza also serves beverages, including beer and wine. Season Passes to the Amusement Park are now available. Find out more info at this link. While at the Amusement Park, connect with us on social media using the hashtag #iheartcitypark. Paid admission to the Amusement Park also includes admission to the Botanical Garden and Storyland.